Facebook can be a valuable tool to spread word of your events to potential event attendees. 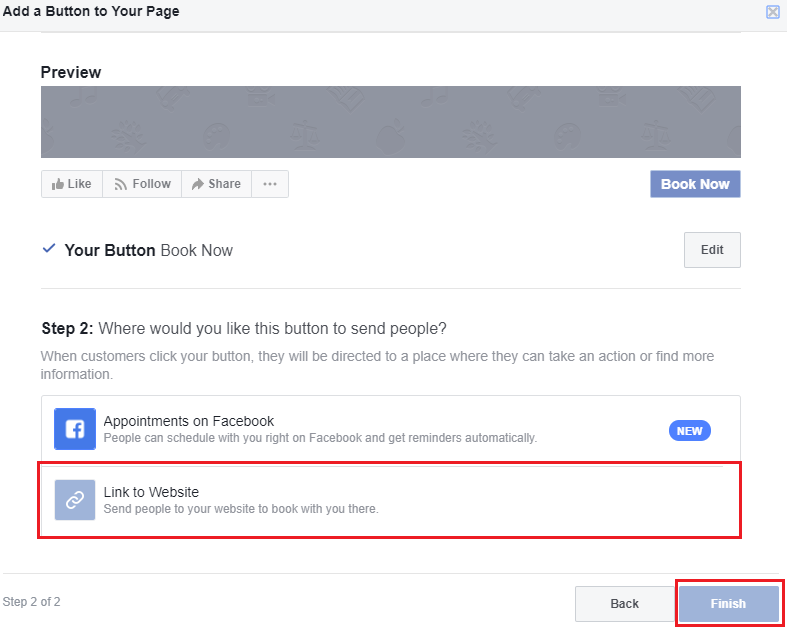 You can link from your Facebook business page directly to your Bookwhen public page to make your event easy for your customers to find and book. 1. 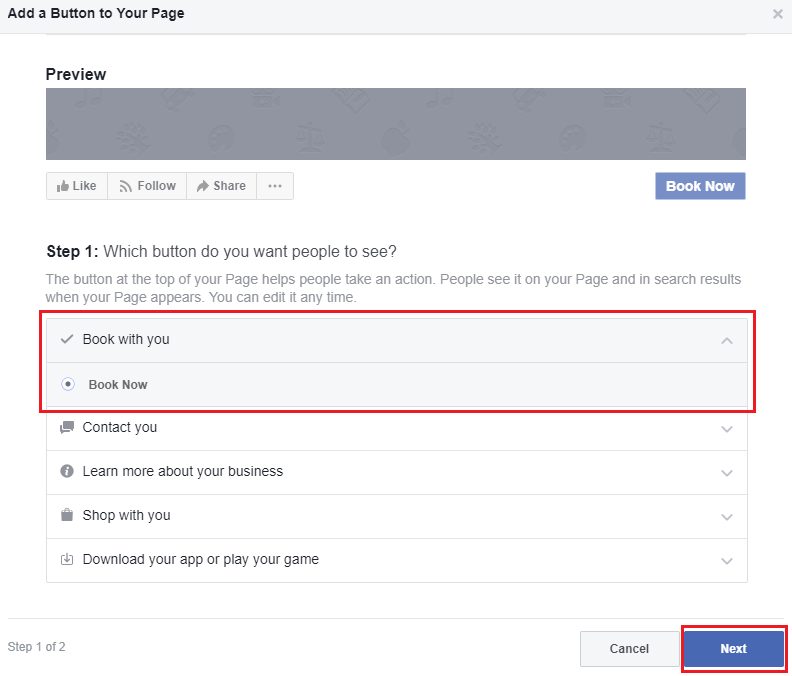 Make sure that you have set up a page for your business on Facebook. If you already have a personal page you can do this by clicking on the Pages link then Create page. 3. Select the type of button you would like to create, we recommend 'Book with you' to create a 'Book now' button but it's up to you! After making your selection click 'Next'. 4. On the next page click on 'Link to website' and enter your Bookwhen public page URL. This means that anyone clicking your button will be automatically forwarded to your public schedule. 5. When you are happy with your settings click on 'Finish' and your booking button will be ready to go!